Helen Brown – Hello New Zealand! Fancy a glitzy high tea? Hello New Zealand! Fancy a glitzy high tea? Home / Uncategorized / Hello New Zealand! Fancy a glitzy high tea? 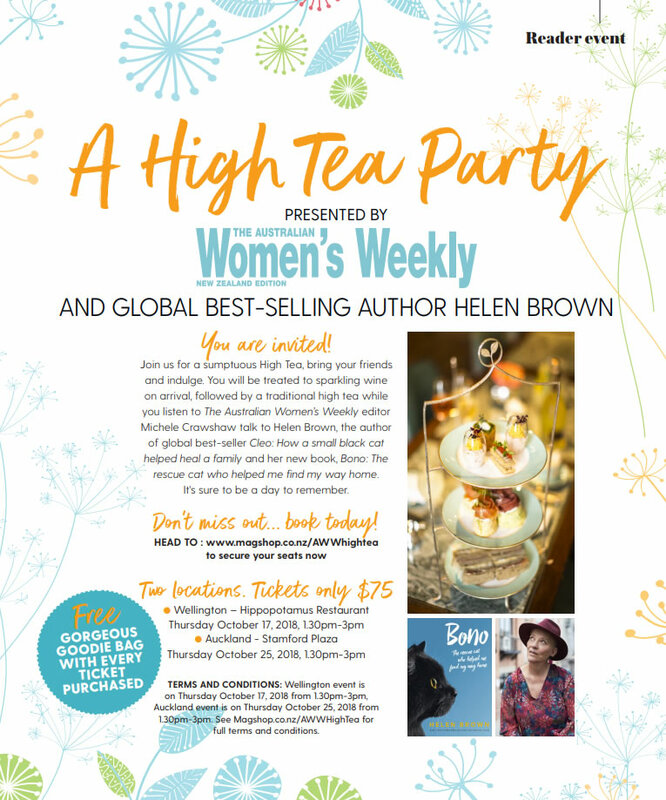 Join me and the editor of the Australian Women’s Weekly, Michele Crawshaw, for an afternoon of bubbles and laughter. There’ll be two events, one in Auckland, the other in Wellington. Can’t wait to see you there.